Physicists study the nature of universe and introduce us with unknown and shocking facts of the cosmos. Most of the things present in outer space are odd already and we have just begun to understand the only tiny fraction of it. Today, there are so many strange theories out there that it’s impossible to mention them all in one place. But that doesn’t mean you remain deprived of science knowledge. A few physics theories have been modified in the last couple of decades. We are presenting the interesting ones only. No need to say, they all are very complex but we’ll try our best to explain it as simple as possible. A few oldest stars in the universe need to adjust their birthday clocks. According to the new research by European Space Agency’s Planck satellite, the ancient star exists more than 100 million years later than scientists thought. The new results (data set taken between 2009 and 2013) are based on the additional year of observation recorded by the satellite. Some first stars and galaxies in the early universe played a key role ending universe dark ages. These stars not only lit up the space but also cleared a fog of hydrogen atom in cosmos. These kind of gases that filled the universe blocked most wavelengths of the light (period of dark ages). 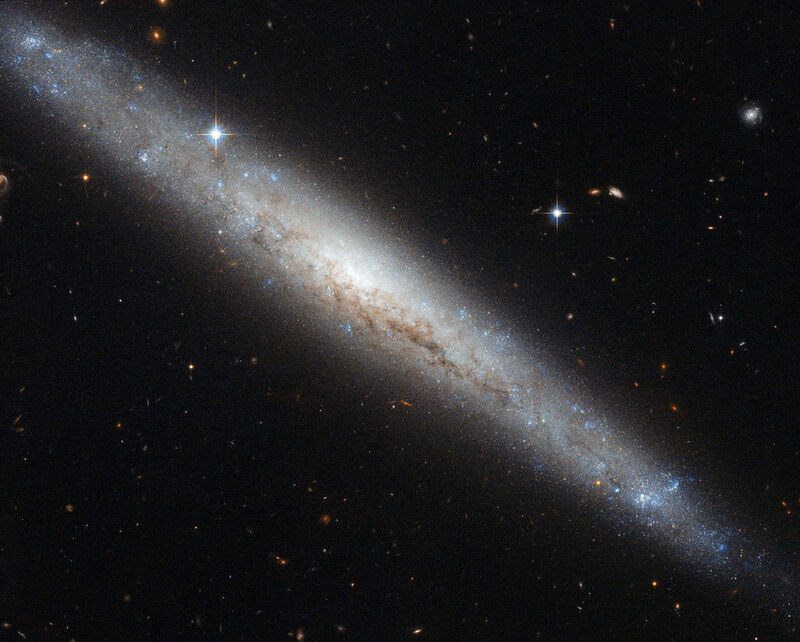 The photons emitted by the stars and galaxies split the atom apart and ionized them. That’s why the current period is known as reionization. NASA’s Hubble Space Telescope measurements imply that the universe was completely clear of this fog by around 900 million years after the Big Bang. But the European Space Agency is focusing on “when did it begin?”. ESA’s Planck implicates about when those stars and galaxies started forming. It can identify the average starting time of the star and galaxies but not when exactly they were born. For now, scientists associated with Planck think of reionization as instantaneous event on cosmological time scale but it must be an event that took place over a specific period of time. We will want to know what’s the duration of period, we want to be able to say when 20% of the universe reionized, and then 30% and 50% and 100% – says Bersanelli. All things must end. This statement is true for us, true for the Earth, as well as true for the Sun. Not today, not tomorrow but far in the future. The sun is a giant fusion reactor floating in space, mostly composed of Hydrogen and Helium. In its core, hydrogen is fusing to form helium. These reactions produce the light and warmth the earth. In about 6 billion years, all the hydrogen will be converted into helium and reactions will stop. Because of no further fusion reaction, the core will become unstable and collapse under its own weight. Due to this, the core will heat up and get denser. After this point the sun will grow in size and enter the red giant phase of its evolution. It will still have enough heat & pressure, so the helium will start forming carbon. Finally, helium becomes unstable (after 100 million years) and it will cause the sun to pulse violently. Thereafter, it will create a vast planetary nebula with a small dense white dwarf in its core. Until now, the progression from dying star to nebula is thought to be very slow, steady and fairly gentle process (as compared to massive star’s supernova). A new paper published in the Astrophysical Journal shows that the death of low to medium mass stars (including Sun) is anything but subdued. After 6 billion years from now, the sun will not explode as a powerful supernova but that doesn’t mean there won’t be any fireworks. 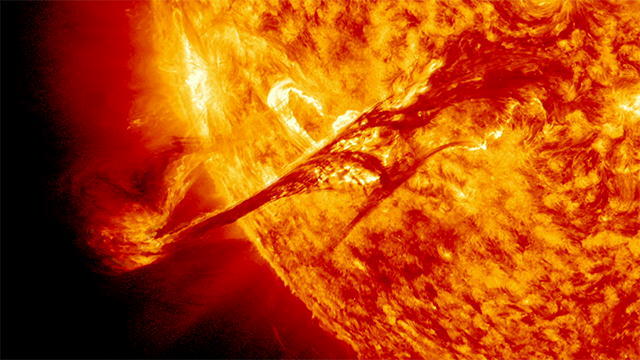 According to the lead researcher Jose Francisco Gomez (Institute of Astrophysics of Andalusia Granada, Spain), in a few 1000 million years, the sun will exhaust its nuclear fuel, evolve into a red giant and eject a major part of its mass. The final result will be a white dwarf surrounded by a glowing planetary nebula. We use fossil fuels to generate energy but in the last decade we came to know that Earth’s dependence on these fuels is not necessary at all. Scientists have developed alternative methods where a system can provide energy without any external input. In fact, they are proven multiple times by scientists all across the world. The Casimir effect is a proven example of free energy that illustrates the vacuum state or zero point energy. The Casimir force are physical forces arising from a quantized field. This video proves that this concept is not just theoretical. The principles of general relativity can be used to illustrate the principle of motionless electronic motor. It is explained well in a paper published in the Journal foundations of Physics letter, August 2001. The device consumes electromagnetic energy from curved space-time and generates around 20 times more energy that inputted. The electromagnetic energy can be extracted from vacuum and can be used to power other working device. The paper further explains how these devices are repeatable and reproducible. A paper in the journal Physical Review A, titled “Source of vacuum electromagnetic zero-point energy” (by H. E. Puthoff) explains how nature provides 2 alternatives for the origin of electromagnetic zero-point energy. The research concludes that particle motion generates the zero-point energy spectrum in the form of a self-regenerating cosmological feedback cycle. The fact that “free energy” is practical is quite surprising but the truth that they are not implemented yet, is shocking. The White Holes, Are They Real? White holes are exactly opposite of black holes. A black hole is a hypothetical region of space-time where you can go in but can never escape. Whereas, white hole is a region where you can’t enter from outside, that means, you can leave but you can never go back. Just like black holes, white holes have properties, like mass, charge and angular momentum. Today, we have strong evidence that black hole exists. According to relativity theory, it is possible to travel through black hole without crushing. If you are falling into the black hole you could fall through a tunnel in space-time (known as wormhole) and emerge from a white hole in different region of space and period of time. A unified theory that merges into quantum mechanics and gravity plays a key role in modern physics. Carlo Rovelli and Hal Haggard (Aix-Marseille University, France) have explained that the black holes could metamorphose into white hole through quantum process. According to Rovelli and Haggard, loops’ (fundamental building block of space-time) finite size prevents the dying star from collapsing into a point of infinite density. Instead, it (shrinking body) rebounds into a white hole. The entire process may take a fraction of a second. The gravity inside a black hole is so strong that nothing can escape its grip including light and information. But according to Haggard, if black hole instead turns into a white hole then all the information can be recovered. “The Big Bang singularity is the most serious problem of general relativity because the laws of physics appear to break down there” – Ahmed Farag Ali, Benha University. According to the general relativity, the universe is 13.8 billion years old. Before this, everything is supposed to have occupied a single infinite dense point (singularity). After this certain point, the universe began to expand. The big bang arises directly from the mathematics of general relativity and this can’t explain what happened before or after the singularity. Ali and Saurya Das (from the University of Lethbridge in Alberta, Canada) have published a paper in Physics Letters B which states that the Big Bang Singularity can be resolved by their new proposed model. It states that the universe has no beginning and no end. It also accounts for dark energy and dark matter. Ali and Das derived quantum corrected Friedmann equations which explains the expansion and evolution of the universe within the context of general relativity. The model contains elements of both quantum theory and general relativity, still it is not true theory of quantum gravity. However, they expect their results to hold till complete quantum theory is formulated. Furthermore, the quantum corrections can be considered as cosmological constant term and a radiation term, which keep universe at a finite size and give it an infinite age. The crucial thing is, these terms closely agree with the density of universe and current observation of the cosmological constant. Also, gravitons can play a major role (can form a Bose–Einstein condensate) in quantum gravity theory. For now, physicists plan to analyze their model more deeply in the future. P.S: Please read all the resources before commenting/arguing. Many of your questions can be answered there.